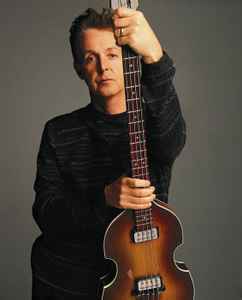 Sir James Paul McCartney CH MBE (born 18 June 1942 in Liverpool, England) is a British singer, composer/songwriter, and multi-instrumentalist most famous for being a member of The Beatles. He is also a published poet, painter, philanthropist, animal rights activist, and multi-media executive/producer. Widower of Linda McCartney. Stepfather of Heather McCartney (Linda Eastman's daughter from her first marriage) and biological father to Mary McCartney, Stella McCartney and James McCartney. Sir Paul has been recognised by every music and entertainment association, including Guinness Book, as the most successful and popular composer/songwriter/entertainer in the history of popular music. McCartney received appointment as Member of the Order of the British Empire in 1965 and, in 1997, McCartney was knighted for services to music.